Crickets eat small insects, leaves, seeds, nectar and fruit and some may eat carrion. Crickets are considered an agricultural pest in some areas due to their propensity to eat crops or seeds. The cricket prefers a primarily carnivorous diet. 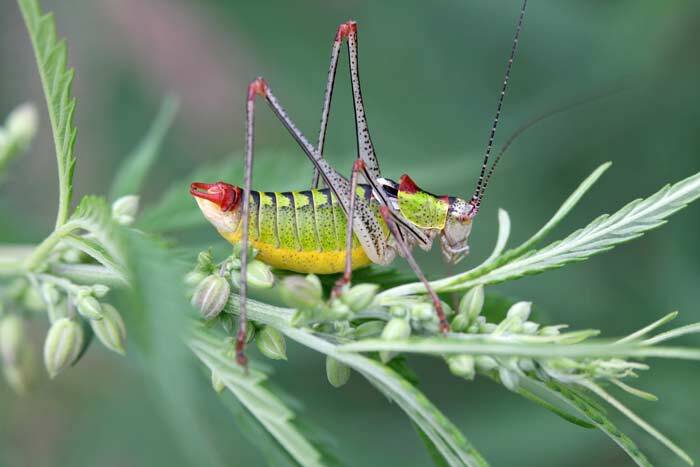 Crickets stay on alert for their predators and tend to hide during the daytime hours, but they are still prey for a variety of different animals, including insect-eating birds, mice, shrews, bats, rats, toads, frogs, small snakes, and salamanders. Other known predators of crickets are lizards, mantids, spiders, wasps, ground beetles and ants. Notably, in some countries, people love to hear crickets chirping at night. For this reason, they are sometimes kept as pets.